Image: Nicholas Hunt/Dave J Hogan/Getty Images, Matt Winkelmeyer/Getty Images. Design: Mike Commins/SheKnows. Chances are you know someone who is currently on or who has at least tried the incredibly popular keto diet. There is also a good chance they have formed some strong opinions on the low-carb eating plan in the process — and celebrities are no exception. 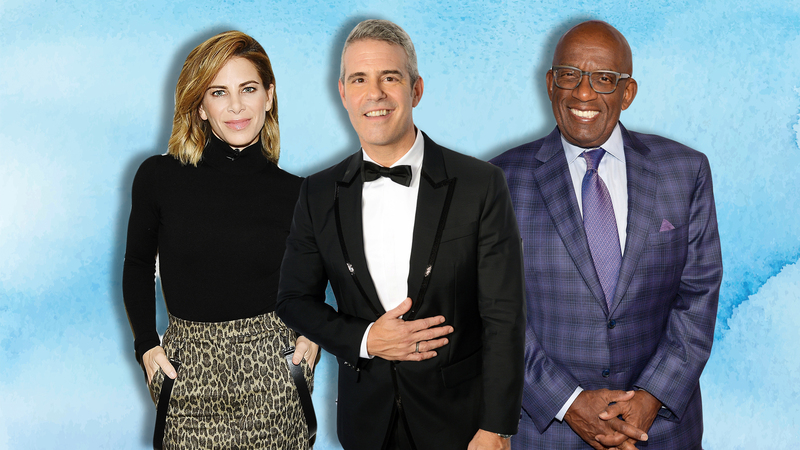 In fact, a war of words has been waging between Jillian Michaels, Al Roker and Andy Cohen, which started as a discussion on the merits of the diet and then got personal. This did not sit well with some of the many celebrities who have lost weight with and are big fans of the keto diet, including Today weatherperson Al Roker, who took to Twitter to call Michaels “a woman who promoted on camera bullying, deprivation, manipulation and more weekly in the name of weight loss.” Ouch. Michaels, a #BlogHer Health alum, responded to both Roker and Cohen on Twitter, requesting a “civil intelligent debate” instead of name-calling and personal attacks. She also made a video with Shape reiterating her stance on the keto diet. "If you want to live your best, and you want to feel your best, and you want to live your longest, that is not the diet for you." -@JillianMichaels. Tap the link in bio for what she wants potential dieters to know about the super-popular #ketodiet . Most recently, Michaels taped an episode of the podcast Skimm’d From the Couch in which she said Cohen “is just not a nice guy.” At this point, debating the merits and pitfalls of the diet appear secondary to personal attacks. But while we’re on the subject, what’s the deal with the keto diet anyway? Is the keto diet good or bad for you or what? So, here’s the low-down on the low-carb eating plan that was the most-Googled diet of 2018. Essentially, it’s yet another version of the high-fat, low-carb diets that have been circulating for decades. According to materials from Harvard Medical School, the keto diet works by forcing your body to use ketone bodies — a type of fuel that the liver produces from stored fat — as fuel instead of sugar (glucose) that comes from carbohydrates like grains, legumes, vegetables and fruits. While, yes, some people like Roker and Guadagnino have lost weight on the keto diet, it’s not without its risks. Specifically, you’re eating a lot of saturated fat, which isn’t great for you, and are also dealing with things like nutrient deficiency (since you’re likely not eating as many fruits and vegetables as you normally would), constipation and potentially liver and/or kidney problems. Another less extreme option is keto cycling, which involves switching between following a strict keto diet for a few days, then resuming your normal healthy eating pattern on other days. As with any diet, definitely check with your doctor before trying something new and don’t forget that your best bet is eating a healthy, balanced diet and getting enough exercise. Spoiler: That’s exactly what Michaels was advocating in lieu of doing the keto diet. Now, can we all please get along?